Vulkan Airxtend Knee Adjustable Tension Support. • Three straps allow for adjustable tension to provide a custom fit. • Open patella helps stabilize the kneecap. 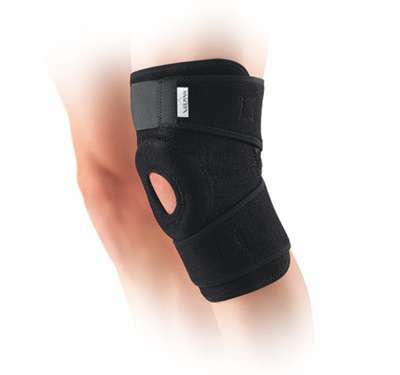 • Contour design minimizes bunching behind the knee.